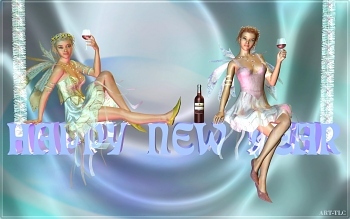 Animated Screensaver of Fairies toasting in the New Year on a swinging New Year Sign. Optional "What Are you Doing New Years Eve?" music included. Download animated Fairy Toast Wallpaper! Images made with DAZ studio. Images and Screensaver copyright, ART-TLC ©.